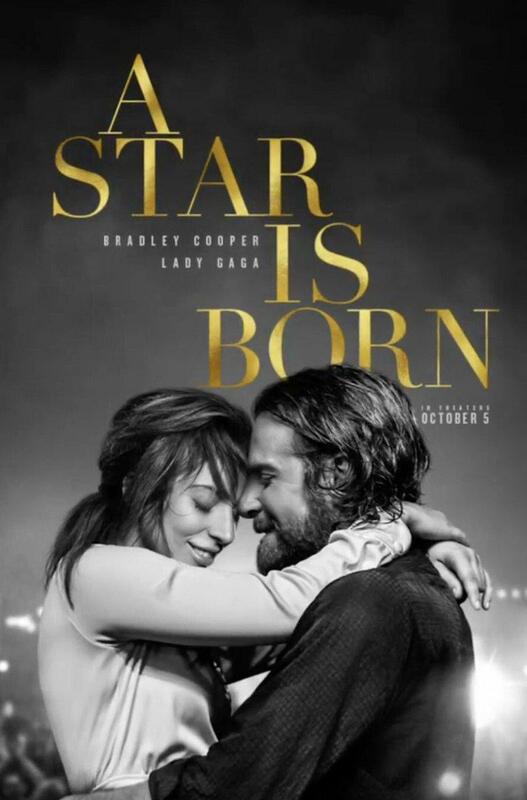 A Star is Born is a remake of a well-known story that’s been told in 3 previous Hollywood films all with the same title. First in 1937 with Janet Gaynor, in 1954 with Judy Garland, and in 1976 with Barbra Streisand. This 2018 version has Bradley Cooper (American Sniper, 2014) playing an established rock star who meets a working-class waitress (played by Lady Gaga, American Horror Story: Hotel, 2015-2016) who has her own hopes of singing stardom. It doesn’t take long for Cooper’s world-weary rock veteran to help Gaga’s fresh ingénue develop her songwriting, believe in herself, and find fame. But while the young woman’s star rises, her weathered man struggles with alcoholism as his own music career tickles down the drain. But you cannot ignore the fact that both the leading stars perform beautiful original songs throughout the film. And a surprising, brilliant, restrained performance by Sam Elliott (The Hero, 2017) helps add honesty and emotional depth. I don’t think this film is bound for the Oscars next year, but it’s definitely bound for the Golden Globes.